The Carlton Hotel in Prestwick combines a comfortable and relaxed atmosphere with a modern streamlined interior. From the public spaces through to the 39 guest rooms, the use of bold colour, rich textures and contemporary artwork creates a vibrant ambience throughout. Logans Bar & Restaurant within the Carlton is well renowned locally, using fresh seasonal produce and mixing on trend Gins it is well worth a visit. 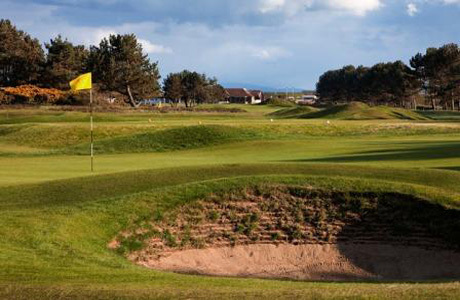 Barassie Links has been offering golfers a challenge in Ayrshire since 1887. The course itself is a mixture of old and new. This unwavering pedigree has helped it secure Open Qualifier status as well as hosting a raft of prestigious R&A tournaments. 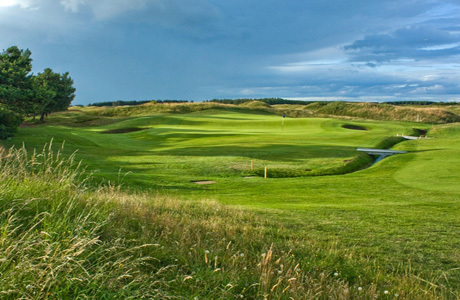 Formerly known as Southern Gailes, this new course is already recognised as one of the best new courses in the world. Opened in 2003, this modern day links has the feel of a course 100 years older, offering challenges and enjoyment in equal measure. 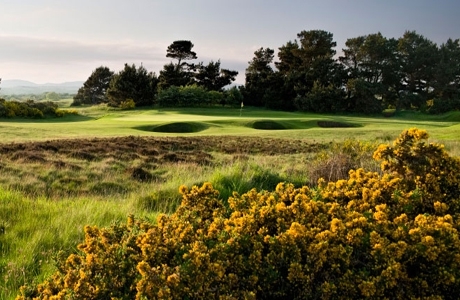 Irvine Golf Club is a hidden gem of a traditional links challenge. It owes much of its present day character to the course design of the great James Braid. Set in a seaside location with the romantic peaks of Arran presenting a stunning backdrop.